Photo credit: Ed Verhamme, LimnoTech, Inc.
Lake Michigan now has two new buoys that monitor lake conditions in real-time. 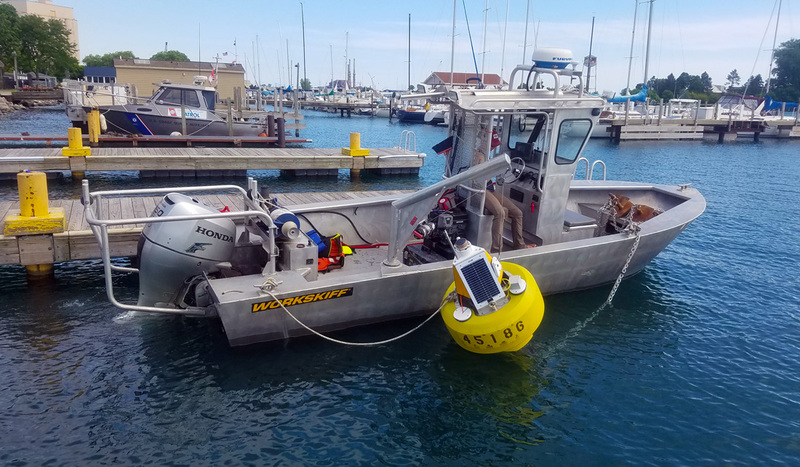 Placed about a mile offshore in Illinois waters—close to Waukegan and Winthrop Harbor—each buoy will measure air and water temperatures, wave and wind conditions, and water currents every 20 minutes while deployed. The buoys are also equipped with webcams that transmit an image and video once per hour during daylight hours.  Illinois-Indiana Sea Grant will host the most recent data and images on their program website, while data will be managed by Great Lakes Observing System (GLOS). “It’s great to have two more systems that will help scientists and weather forecasters understand what’s happening in the Illinois and Indiana waters of Lake Michigan,” said Jay Beugly, an aquatic ecology specialist with Illinois-Indiana Sea Grant, who helped place the buoys in the water on July 19 and is the main support for the Illinois-Indiana Sea Grant real-time buoy program. Ed Verhamme, a project engineer with LimnoTech, Inc., designed and custom-built these buoys for application along the Illinois shoreline. 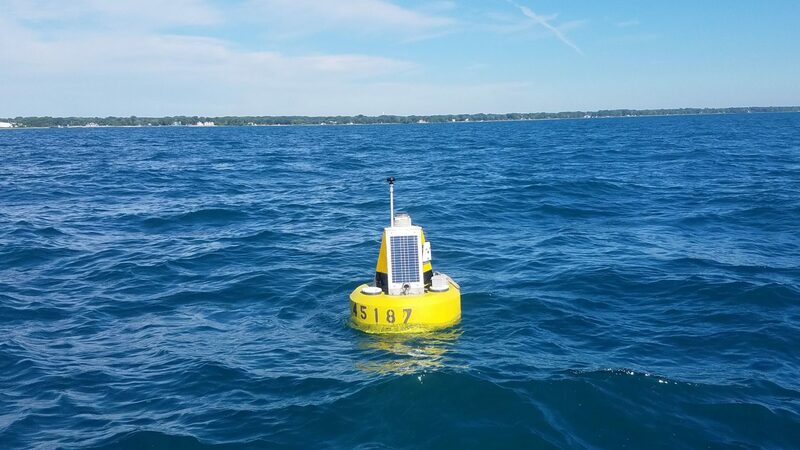 “These buoys are closer to shore than other buoys in Lake Michigan, which helps scientists better understand how waves and currents affect the shoreline, but also required us to use a different type of buoy”, said Verhamme who also joined Beugly and Theuerkauf during the buoy deployment. As of July 23, 2018, data from the two new buoys can be found via the GLOS data portal and the National Data Buoy Center by searching buoy numbers 45186 (Waukegan) and 45187 (Winthrop Harbor). These buoys were supported by a NOAA Coastal Zone Management Projects of Special Merit Grant.